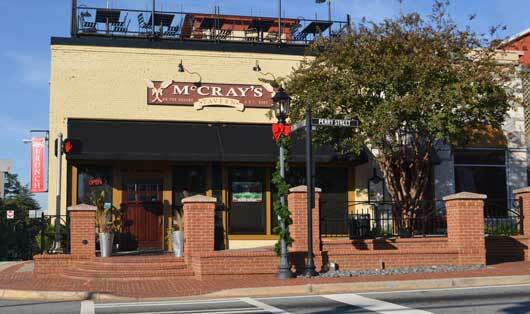 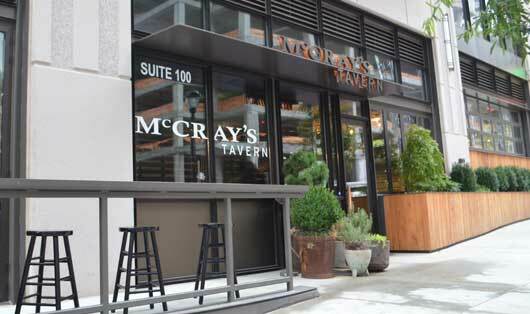 Located on the Square in Lawrenceville, McCray’s Tavern has been a favorite hangout since it opened in 2007. 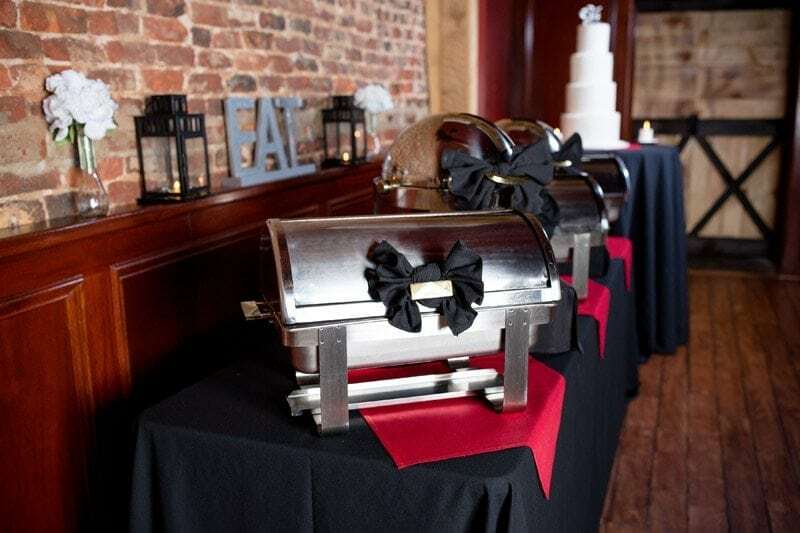 We are a classic American Tavern with a large and diverse menu that includes mouth-watering burgers, tasty sandwiches, huge salads, tempting full entrees, daily specials, and a children’s menu. 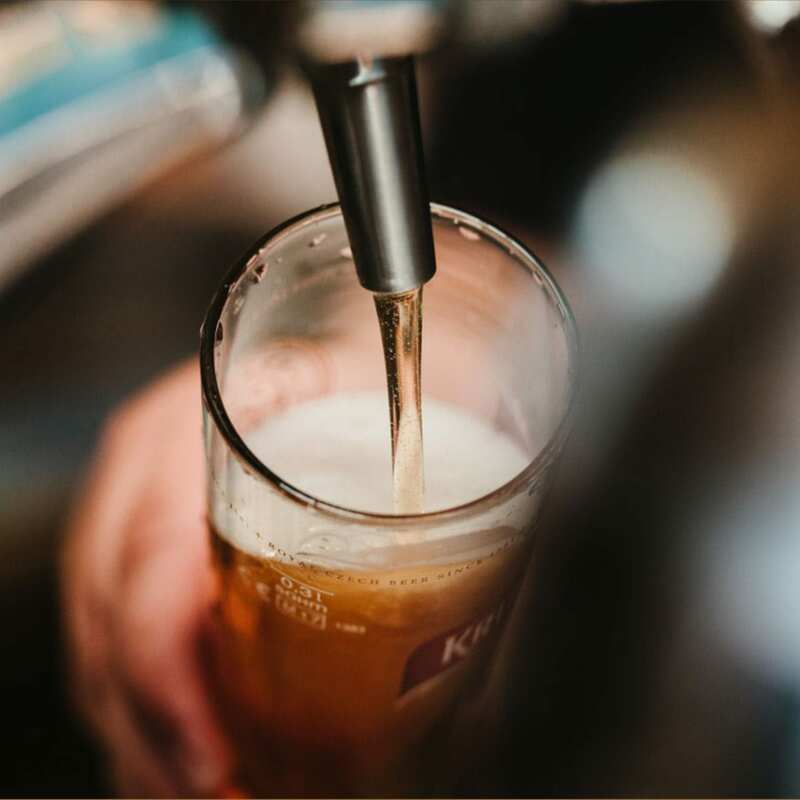 We love craft and feature a full bar with over 40 beers on tap, a separate dining room, a private event room, and lots of TVs to watch your favorite game. 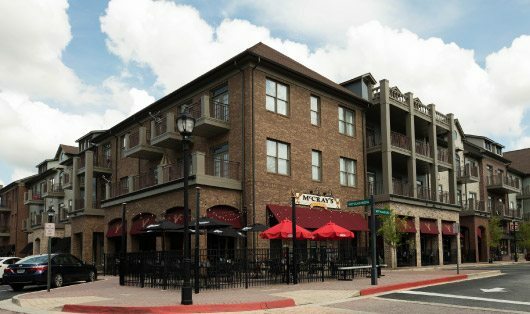 We are open late every Friday and Saturday with live music and we boast the most impressive skyline view from our rooftop deck. Our weekend make your own bloody mary bar brunch is legendary, and we also have DIRECTTV NFL TICKET and access to every live NFL game. 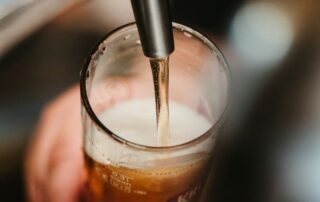 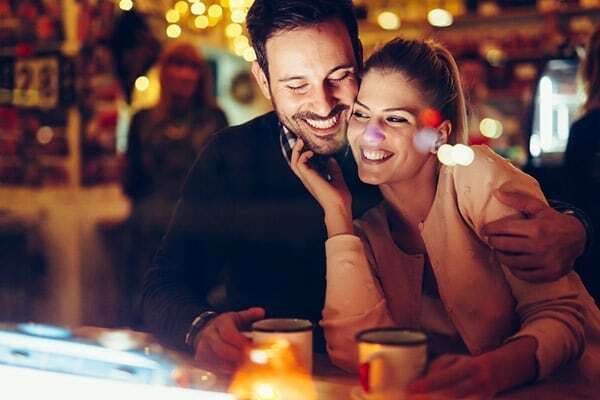 So whether you are with family, friends, or on your own and are looking for a great place to eat, have a drink, or watch your favorite game, we’ve got you covered!